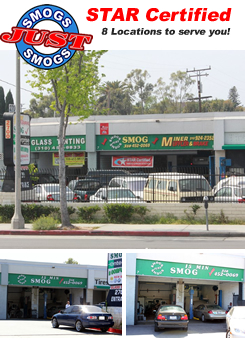 $15.00 Off Santa Monica Smog Check Coupon - Smogs Just Smogs - 2700 Lincoln Blvd., Santa Monica, CA. Phone: (310) 452-0069. Local Santa Monica Smog Station. Shop Hours: MON-FRI 8:30am to 5:30pm, and SAT 9:00am to 4:00pm. Our Venice location is also OPEN on SUN 9:00am to 4:00pm. More certified smog station near Santa Monica, CA.